Nancy Nguyen’s faith is the driving force for serving and living among the rural villages and tribal regions in Vietnam and China. 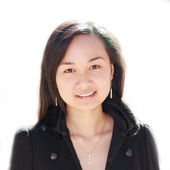 For the past fourteen years, she has founded and led numerous non-profit organizations in rural Vietnam and China. She was the Executive Director of a foundation for eight years before starting Agape Fish Fund. She developed program management, rural community development experience, and long-term partnerships with grassroots NGOs in East Asia, which aids her work in mobilizing partnerships to develop the non-profit sector in third world East Asia. Nancy studied Biology and History with a concentration in East Asia at Stanford University. Daniel Nguyen is a dentist who graduated from UCSF Dental School and Stanford University with a BS in Biological Sciences. Daniel has participated in numerous humanitarian projects and performed research studies across third world countries in Africa, China, and Vietnam. His goal is to use his career as a dentist and photographer to serve the underserved across the world. Gary Wong is a Senior Auditor at Stanford University’s Office of Audit, Compliance, and Privacy. Gary holds a Bachelor of Arts degree in Economics & Statistics from the University of California, Berkeley. He is a Certified Public Accountant (CPA). Gary has volunteered with Agape Fish's high school service mentorship program since 2010. He is active in his church and is passionate about social justice. Peter Nguyen is the web developer of the Toumingyu community platform for Chinese NGOs. 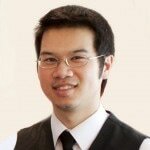 A web guru and entrepreneur, Peter Nguyen is a blogosphere celebrity who has extensive experience in web 2.0 platforms, motion graphic effects, film production, and print media. From the age of nine, when he first started programming, Peter has dreamt of making a difference in the world through these mediums. Peter has traveled to Gansu and Vietnam to develop web technology to help build the nonprofit sector. Peter is a true global citizen with a heart for service and a passion for creating compelling media. He has a masters in Information Systems Engineering from U.C. Berkeley and currently works as a Systems Engineer for Google. Carolyn Embuscado has a heart to bless others and enjoys using communication skills to do so. She majored in English at Grove City College in Pennsylvania. She then spent six years serving in China, as the Rights and Projects Manager at a Christian book publishing company. Carolyn is a credentialed life coach and is also a content development consultant for a creative marketing agency. Through her experience in working with various partnering organizations, she’s been a bridge between Asia and America. Carolyn is grateful to be a part of the Agape Fish community from her home base in Maryland. Yanyan joined our team in 2009. 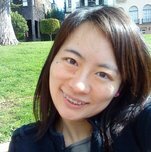 She is passionate about NGO work especially focused in her hometown, Yunnan. Yanyan worked for World Vision in Yunnan before joining us. 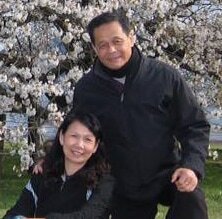 Pastor Thu and his wife Hanh have been missionaries for over 15 years. They served to help needy Vietnamese families in Cambodia for 10 years. They have been called during recent years to minister to the large Vietnamese laborers, prisoners, and brides population in Taiwan. Vietnamese Diaspora Outreach Ministry in Taiwan started in 2009 to serve over 100 Vietnamese inmates through gospel sharing, discipleship, and theological leadership training. 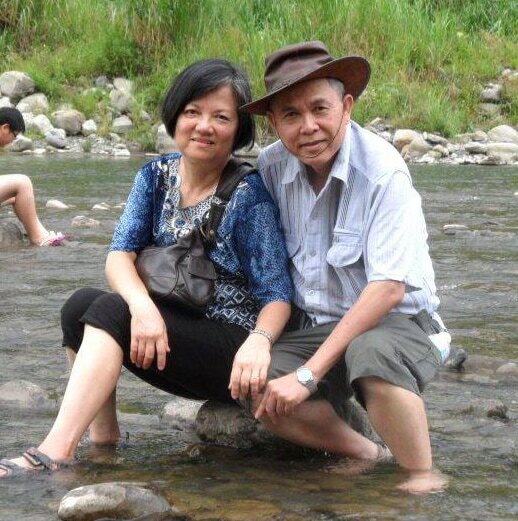 Pastor Thu and his wife Hanh will retire soon and are currently serving as Agape Fish Advisors with their wealth of mission experience in Cambodia, Taiwan, and Vietnam. Pastor Bao and Thuy Nguyen serve at Westminster Vietnamese Alliance Church. Their evangelism ministry started in 1983. They have trained 11 classes of Evangelism Explosion since 2005 with more than 90 witnesses graduating. Twice each month they go door to door (one week of visitation, one week of evangelism) with an average of two to five believers. Every year there are more than 50 believers with 20% continuing to stand in the faith. They have been performing annual field visits and due diligence for Agape Fish for the past eight years. They also have referred many of the ministries we partner with whose leaders are their trusted friends and fellow pastors. Thank you to our past staff and interns who have dedicated their lives to serve at Agape Fish. We are indebted to your service and friendship.